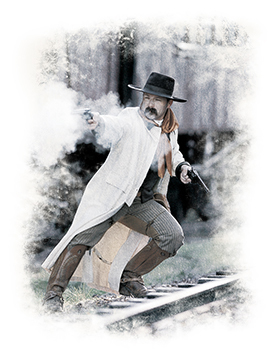 True to the originals, Uberti Top Break Revolvers come in 3 models, including the Russian Model with Cyrillic barrel stampings. 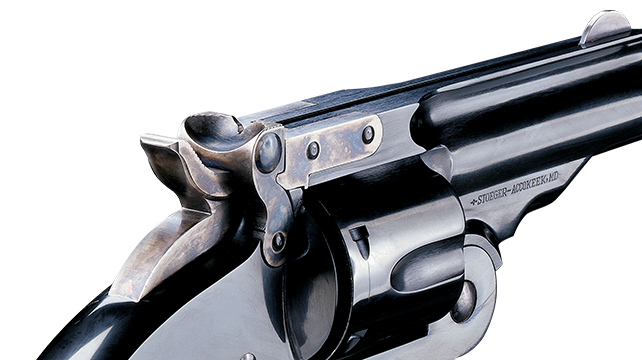 Major George Schofield designed the Top Break as a cavalry pistol. Its efficient, break-open design could be operated with one hand. That made it easy to eject the spent cartridges and reload while on horseback. It was the Russian government that truly embraced the new side arm. The Czar ordered 41,000 Top Breaks. 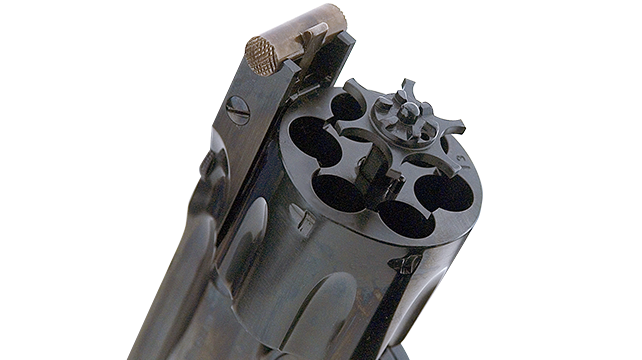 Those had a modified grip design, lanyard ring, and a distinctive trigger spur. The sturdy, stirrup-style top latch ensures a firm lock.